Kayak stability has been a talked about feature for as long as I can remember. Few of the early kayaks (think 1990s) were much wider than 27 inches and anglers, myself included were worried about flipping from a hefty hookset. 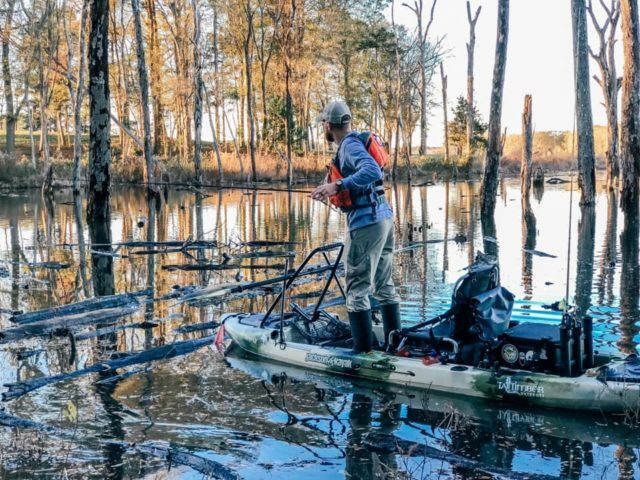 The question of kayak stability is still prevalent today, however, new anglers aren’t looking for just stability, they want standability. Isn’t stability the same thing? Not necessarily. I see it as the comparison of a square to a rectangle. All squares are rectangles but not all rectangles are squares. Kayaks that have standability also have stability but not all kayaks with stability have standability. 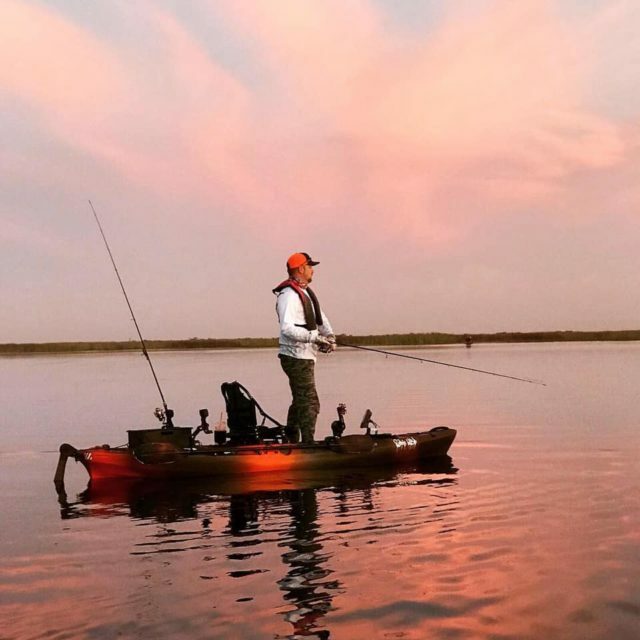 Stability indicates a kayak’s performance in conditions when an external force, be it the paddler, weather condition, or other boaters apply force to the hull. I’ll drop the sciency jazz for a second. Basically, if you can stay upright setting the hook, getting bombarded by a wake boat, or navigating a crosswind, a kayak would be deemed stable. Stability often depends on the design of the hull (the side that’s in the water) and the width of the kayak. Additional factors that come into play are the seat height at which a paddler or pedaler sits, the square inches of a hull that make contact with the water, catamaran style hull designs, and percent of weight capacity that is utilized. Not all weight capacity is rated the same way so be sure to demo a kayak if possible with gear to see how it rides. When people ask “Is this kayak stable?”, sometimes they are talking about stability but more often than not, they really want to know about standability. Starting around 2012, marketers of fishing kayaks realized that pictures of people standing in kayaks sold more kayaks than people sitting and fishing in kayaks. Standability became a huge thing in the market and the rush to wider kayaks started. The term stability took on a new meaning. The old standard stability started to mean “Can I stand up and fish in this kayak?”. For standability in a kayak, you have to start with stability. You should also look at how the kayak is load balanced. A cheaper kayak may have the seat too far forward or too far back. This causes the kayak to become imbalanced especially when standing because you stand in front of the seat. Ideally, the deck will be clear for at least 12 inches in front of the seat. This allows you to adjust your weight as needed to take on waves if standing and casting. This also helps you to not trip when making foot adjustments. Stand assist straps, side rails, or pull up bars are often an option for kayaks that have standability in mind. 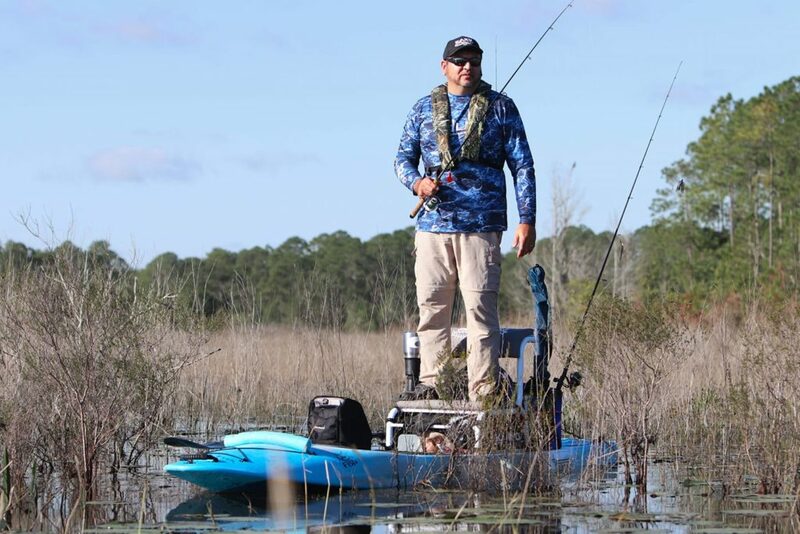 They can often be added to other models of kayaks but if the manufacturer doesn’t offer one of these as a brand-specific solution, it might not be though of as a standing and fishing kayak. One more GIANT thing about standing in a kayak exists that I need to address. Just because a tiny gymnast looking person can stand in a kayak doesn’t mean a Defensive Lineman for Alabama can. Individual ability can improve with practice but weight, what part of the body the weight is carried, height, and inner ear conditions all play a big role in the ability of an individual to stand in a kayak. A 41-inch wide kayak has a better chance for more people to be able to stand than a 29-inch wide kayak. Ultimately the best way to decide if you can stand in a kayak is to demo, in warm weather, in shallow water. However, if that is not available, I would think long and hard about trying to stand in kayaks that are less than 33 inches wide. A few exceptions exist to that rule but for the most part, it’s a good guideline. Please understand fishing styles and locations differ. Things like tides, waves, boat traffic, and current can greatly affect standability. Great article Chris! This is something everyone should know & understand, especially all of “US” professional kayak critics when providing the new buyers with information relative to this. Thanks for clarifying the topic! I’m waiting for that scissor-jack stand-up assist seat. 😀 Great article! 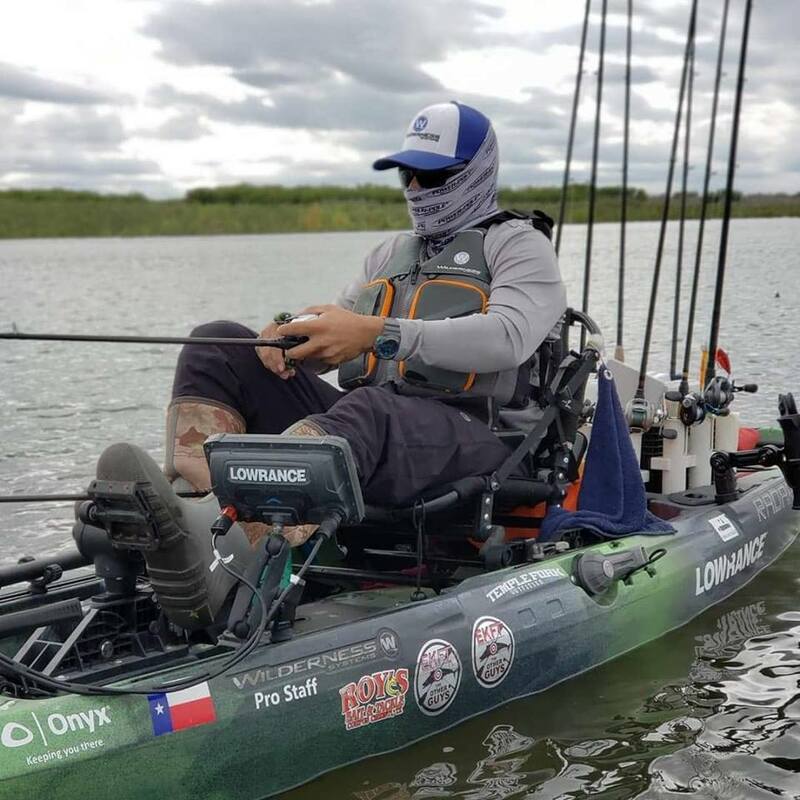 Very good info Chris especially concerning the kayak fisherman’s physical characteristics and natural abilities to maintain balance even in a kayak with ample stability. Good things to consider so reality does catch up to us after making a purchase!